Aħna Refuġjati, a contemporary Maltese opera that portrays realistic scenes that shock you with the truth which has been going on around us. 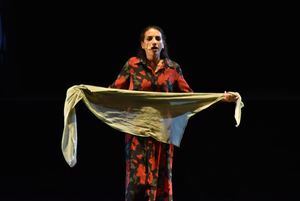 The opera is directed by Mario Philip Azzopardi and was produced with producer Marc Cabourdin, executive producers Jason Micallef and Mario Philip Azzopardi himself, and co-produced by Catherine Tabone and Jean Pierre Magro. The excellent music is originally by Mario Sammut and Richard Merrill Brown which was also the maestro of the opera. 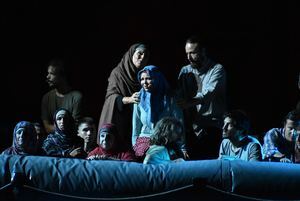 Some of the actors starring in this opera were Miriam Gauci, José Hernández Pastor, Nico Darmanin, Ruth Sammut Casingena, Nadia Vella and Federica Falzon. place you eventually end up even though the locals are discriminating you. We see death, unacceptance, fear, and anger in this opera. The stage was beautifully designed and the costumes were true to the character. Surprises such as fireworks and a change of genre in music throughout the opera never failed to impress the audience, keeping them focused and entertained. Having said that, I would recommend the opera to an elder and mature audience, as some scenes may be overwhelming for young children. A massive well done to all those involved. For the actors for making us aware of this ongoing issue with their amazing and heart-felt acting and singing. 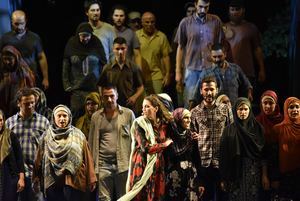 It is a Maltese opera everyone should watch, as one can truly understand what refugees have to face and how we should embrace diversity once and for all for a better change.